HealthFin got a major boost as it received funds from the Government of Maharashtra as part of the state government’s Mumbai Fintech Accelerator program. 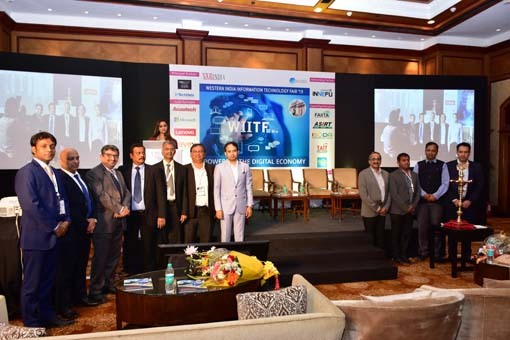 The Mumbai Fintech Hub is an initiative of the Government of Maharashtra which has been established in the Mumbai Metropolitan Region as a focal point for Fintech activity within the State of Maharashtra. Hon’ble Chief Minister of Maharashtra Shri Devendra Fadanvis, was the chief guest for the occasion. He shared his thoughts on the Fintech industry and connected to various startups, industry experts, leaders and technocrats. Parvaiz Hussain, Chief Executive Officer, HealthFin, received a cheque of Rs.10 lakh at the hands of Hon’ble Mr Othmar Hardegger, Consul General, Switzerland; Mr S.V.R. 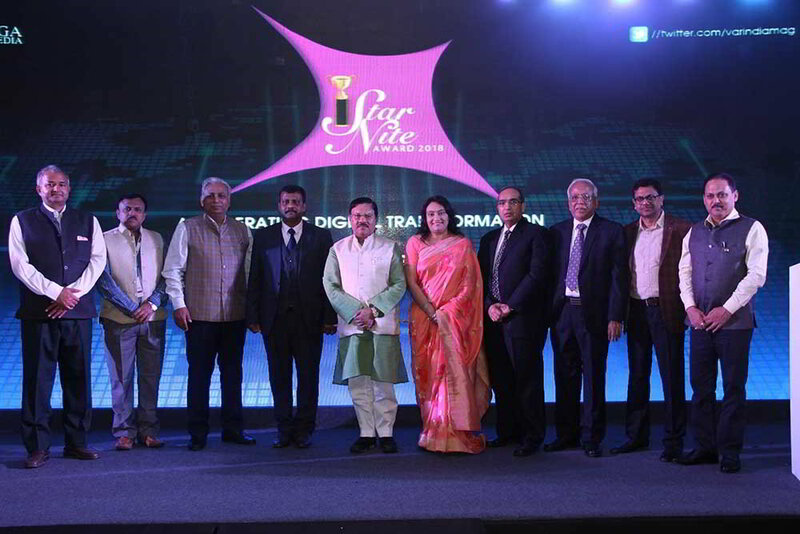 Srinivas, Principal Secretary, Directorate of Information Technology, Government of Maharashtra; and Prof. Suhas Pednekar, Hon’ble Vice Chancellor, Mumbai University, at a function held in Mumbai, which also saw presence of Shri Nitin Gadkari, Union Minister for Road Transport & Highways, Shipping, Water Resources, River Development & Ganga Rejuvenation, Shri. Suresh Prabhu, Minister for Commerce & Industry, along with Bollywood Superstar Shahrukh Khan and Cricket Legend Sachin Tendulkar. The main aim of the program is to promote innovative startups in the state by means of encouraging, engaging and enabling the entrepreneurial ecosystem. Startups from sectors such as education, healthcare, agriculture, clean energy, environment, water management, smart infrastructure, mobility, governance, financial inclusion and cyber were invited to submit their applications for the program. 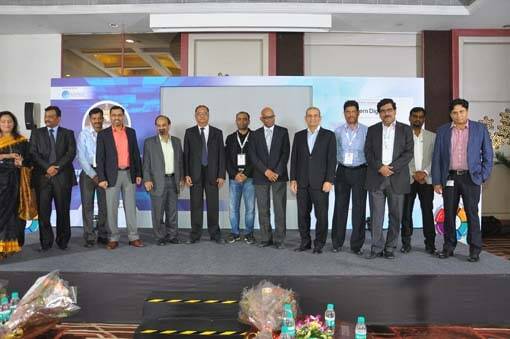 The startups presented their solutions to an esteemed panel of judges comprising representatives from the state government, industry and academia and the top three from each of the 24 sectors. Each startup received funding of up to Rs.15 lakh for their solutions and demonstrated proof of concept. Further, they will be provided state support and mentoring from its institutional partners, to deploy solutions on the ground for a period of one year. A dedicated pitching session will also hosted for startups looking to expand their operations in overseas markets for which 5-10 promising ventures was also financial support up to Rs.15 lakh for their market development programs abroad. The funding and recognition once again reiterates HealthFin’s business model and unique offerings in the fast growing Fintech industry. HealthFin today has emerged as the most effective facilitators of medical loan which provides a 360 engagement with the patient. Not only they help the patient to find an apt solution to the medical problems, but also seek a solution to fund medical procedure in the most hassle-free manner, providing him with the best experience. There are various loan schemes available with them to cater the society. We are available at the hospital and we make sure the funds reach to the patient on time. As part of our services we ensue that the needy people get financial aid by providing them quick loans, generally through soft loan approval which would be given anytime between 15 mins to 12 hours, depending on the profiling and CIBIL score of the potential borrower. Using technology as an enabler HealthFin today is creating a new ecosystem wherein the customer is empowered to make the best choices, as per his needs. The emerging startup strives for excellence and makes it a point that in the process it gets the best value for the customer. HealthFin’s lending platform gives customer its healthcare provider the ability to access finance companies at the point of services from any desktop or mobile device.